Launched in 2010 BayBrazil has become a reference in the Brazilian-American tech community looking to do business with Brazil & Silicon Valley, get informed about market trends and leading companies, interact with major players and establish new bilateral ties. BayBrazil’s Advisors & Board of Directors are a cross section of Brazilian-American executives residing in the Bay Area and São Paulo representing entrepreneurs, corporations, investment firms, academia, and non-profit agencies. Over the past eight years, BayBrazil has gathered over nine thousand people in its tech hub, organized over 70 events, hosted dozens of delegations from Brazilian startups and large corporations to government agencies looking to engage with leading players in the innovation ecosystem. Moreover, BayBrazil has been facilitating a myriad of connections, opening doors to new business opportunities, partnerships, working alongside our Corporate Members, helping them to expand and succeed. BayBrazil provided Movile with access to high profile Silicon Valley leaders, from investors to tech executives, who became part of the company’s network and helped with various aspects of doing business in the region. One of Movile’s challenges was to recruit talent in Silicon Valley. BayBrazil introduced Movile to senior level professionals who joined the company as employees and are providing major contributions to the company’s growth, including to its app Playkids, which became a top grossing application in the Kids and Education categories in app stores globally, with 10M users in more than 100 countries. Through BayBrazil’s network, Movile executives have been featured as speakers in various tech events in the Bay Area which allowed the company to get exposure to diverse audiences in the U.S., Europe, and China. Movile was featured in BayBrazil’s events, including our annual conference Brazil in the 21st Century, at Stanford University. 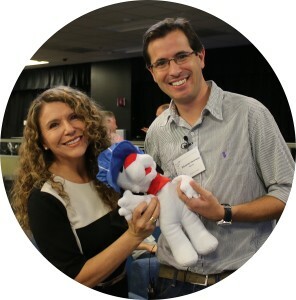 The 2014 edition brought a special outcome: in the audience, there was a Stanford professor, member of BayBrazil, who had a chance to get know and fall in love with Playkids’ story. As a result, Movile was invited to various speaking engagements and became a case study at Stanford Graduate School of Business, one of the most prominent schools in the world. In 2015 BayBrazil facilitated Movile’s introduction to Google, which helped the company to substantially expand Playkids’s penetration among Android users. BayBrazil has also been working with a number of individuals, encouraging knowledge-sharing, accelerating connections in Silicon Valley & Brazil. From day one, we’ve been supporting founders and startups staff to access capital, mentorship and relevant advice to the process of building their companies. In 2016 BayBrazil established a partnership with Google Developers Launchpad to expand our mentor program & support to Brazilian entrepreneurs. As a result, we teamed up to organize two workshops with training and mentorship. In September of 2017 and September of 2016 we co-hosted 32 companies selected by BayBrazil partners for a special series of talks & mentoring sessions. In 2013 worked with Desafio Brasil, a business competition in various Brazilian states. 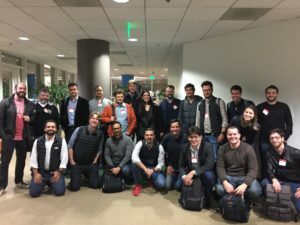 Through BayBrazil’s initiative and a partnership with Plug and Play Tech Center, the teams of two winner startups spent three months in Silicon Valley. In December of 2011, BayBrazil helped the organizers of TEDxBayArea who were in search of a Brazilian female entrepreneur to be a guest speaker in its conference. Our team was able to locate and recommend Ana Gabriela Pessoa, CEO and founder of Ezlearn Educacional, the first Brazilian woman ever to participate.